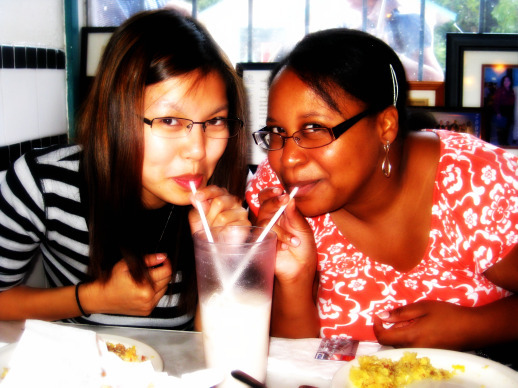 I tried Horchata for the first this past weekend. I didn’t even know what it was before Nisreen explained. 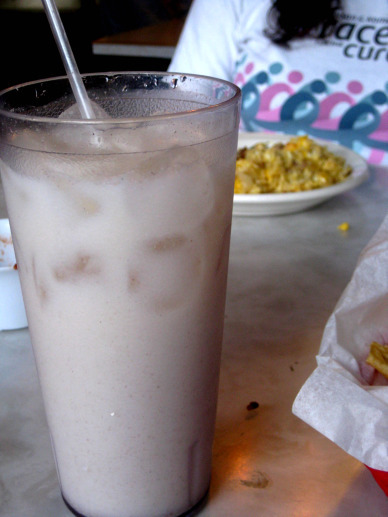 The Horchata I tried was at Juan in a Million. I went with Nisreen and Katambra after we did some dress alterations for Nisreen’s upcoming wedding. I was pleased to introduce Katambra to Juan in the Million and in turn, Nisreen introduced me to Horchata, Mexican style, which consists of rice milk and cinnamon. It was delicious. It reminds me of Christmas because of the cinnamon and it was nice and cold which is perfect for Texas weather. Maybe one day I’ll try making it!